Portrait of Jessie Turvill Thwaites, wife of the Wisconsin Historical Society Director Ruben Gold Thwaites. 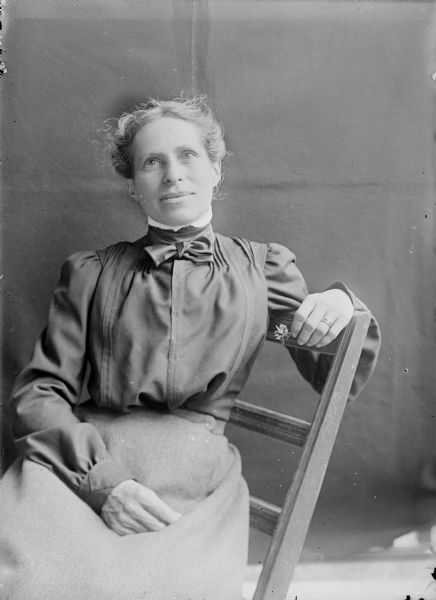 She is sitting sideways in a chair, and is holding a flower in one hand resting on the back of the chair, with the other hand is resting in her lap. A dark backdrop is in the background.